Spartanburg County kept control of the Cyder Cup for another year with a dominating performance at River Falls. They followed up a big day on Saturday with a big day on Sunday to take a 21-11 win. The victory gives Spartanburg a 3-1 overall lead in the Matches, which started in 2004. The event was another huge success, having raised almost $30,000.oo for The First Tee Programs of Greenville & Spartanburg. Thank you so much to all the wonderful sponsors who support this wondeful event that supports The First Tee. We also wish to thank Greenville County Captain Doug Brown, Spartanburg Captain Kyle Milner, and the players from both teams for their time & effort in making this year's event the best yet! CONGRATULATIONS TO SPARTANBURG COUNTY FOR RETAINING THE CYDER CUP! 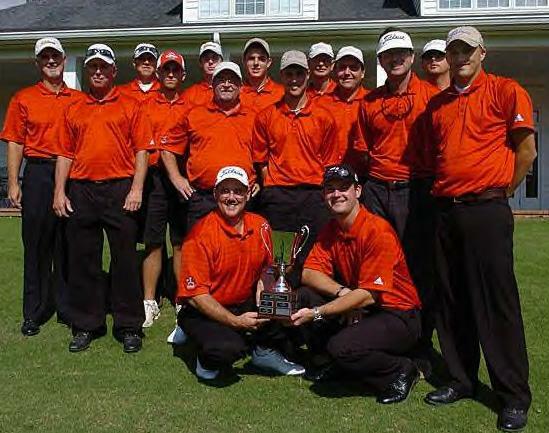 The 2007 Cyder Cup, sponsoring The First Tee Programs of Greenville and Spartanburg Counties, will once again take place at River Falls Plantation on October 27-28. This is the 4th year of the Cyder Cup and Spartanburg County holds a 2-1 lead (Greenville won 2004, Spartanburg won 2005, 2006). This event matches 16 players from Greenville and Spartanburg County against each other in team and singles matches. The team captains are Doug Brown (Greenville) and Kyle Milner (Spartanburg). This year four additional players have been added to each team (2 Senior players and 2 Junior players). The Senior and Junior players will compete against each other and the points will count in the overall event.